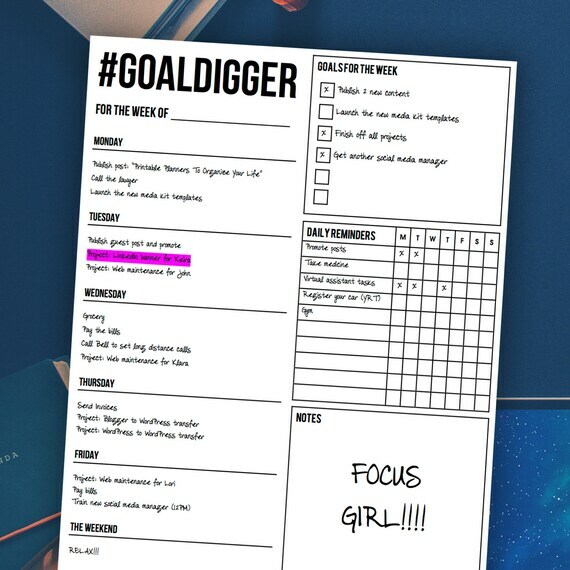 This summer has been so amazing but so hectic, so it’s been kinda hard for me to keep track of my goals. I know I need to get back on track. So now I’m in the process of reorganizing my goals and I thought it would be a great idea if I created my own planner. And of course, it would be better if I share it with you guys! WHY NOT RIGHT? 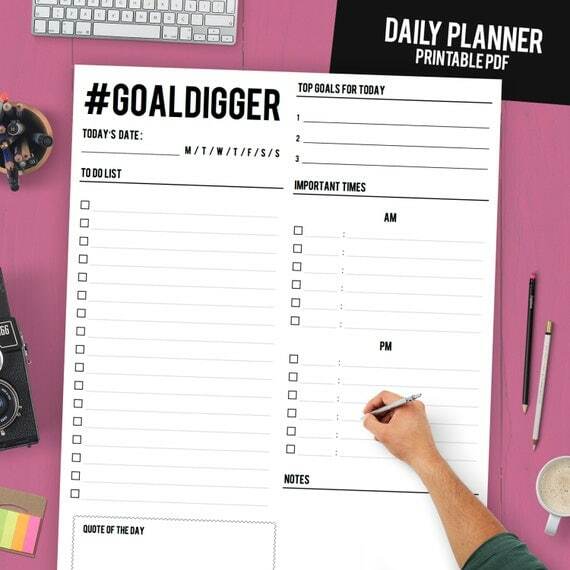 Here’s an awesome daily planner available in 2 versions (normal border + spacious border) and available in 3 formats (for loose printing, for binders or for clipboards). Size: Letter Size 8.5″ X 11″. A Guideline + F.A.Q. File is included. If you prefer a weekly planner, this one is for you. It’s available in 5 colors + 3 formats (for loose printing, for binders or for clipboards). The size is Letter Size 8.5″ X 11″.